If you asked me to guess which Emmy category would bring the most exciting acceptance speech, I have to be honest, Outstanding Writing for a Limited Series, Movie, or Dramatic Special would probably last on my list. 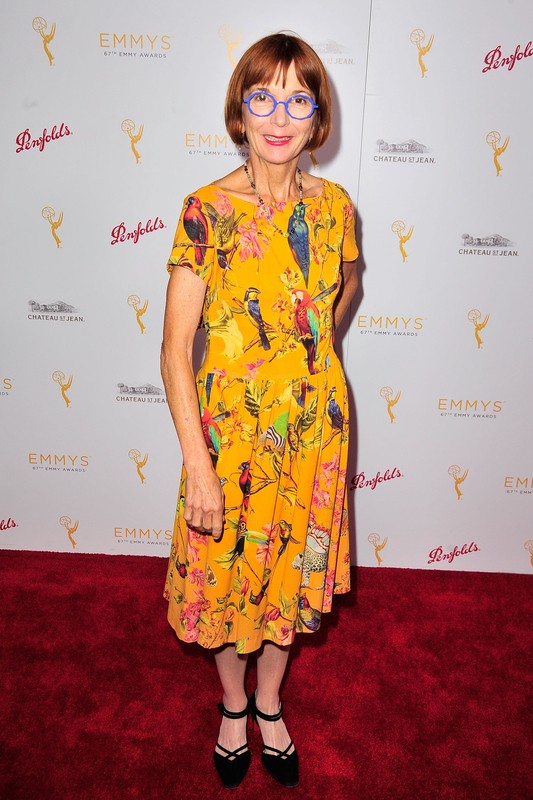 But Sunday night proved me wrong when Jane Anderson won the Emmy for Olive Kitteridge and promptly stole the show. Now you're probably wondering what I was, who is Jane Anderson? Well, she just may be your new favorite screenwriter. In addition to writing the HBO miniseries, Anderson has credits on a few episodes of beloved TV shows like Mad Men, The Facts of Life, and The Wonder Years. She also wrote the movie adaptation of The Prize Winner of Defiance, Ohio. Anderson is married to her partner of over 30 years, Tess Ayers, according to an interview with AfterEllen. In the same interview, the writer said that she's working on a new project set in the 1950s with similar themes to one of her past HBO films, If These Walls Could Talk 2, which followed three lesbian couples in different eras. But beyond her credits and personal life, what you should know about Anderson is that she has an amazingly upbeat, excited, grateful attitude. When her name was called at the Emmys, she eagerly ran to the stage, swinging her arms at her side, and went on to give a sincere, enthusiastic acceptance speech that showed how much the honor truly means to her. Watch the speech below to see why Anderson will be your new Hollywood role model. Let's hope that Anderson's next film brings her some more awards recognition, because I want to see her elevating the mood of every awards show from now on.